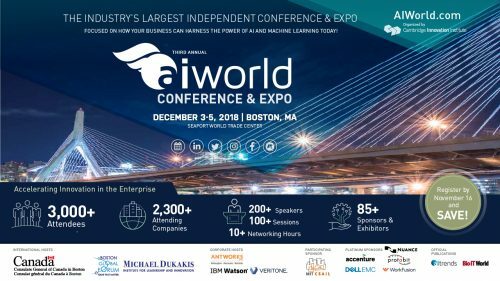 AI World Conference and Expo on “Accelerating Innovation in the Enterprise”, December 3-5, 2018 in Boston is focused on the state of the practice of AI in the enterprise. The 3-day conference and exposition are designed for business and technology executives who want to learn about innovative implementations of AI in the enterprise through case studies and peer networking. What operational models are enterprises using to deploy AI technology that is powered by HPC? How AI can be trustworthy?